In just over three years since he made his debut on Warner Bros. Records, Swindell has racked up an impressive and incomparable record-breaking SEVEN No. 1 singles (the only solo artist in the history of the Country Aircheck/Mediabase to top the charts with first seven singles); 10 No. 1 singles as a songwriter; one 1 billion audience reaching single (“You Should Be Here”), five Platinum singles; one Gold single; a Platinum-certified debut album; a Gold-certified sophomore album (You Should Be Here) as well as numerous SONGWRITING honors and awards including being the reigning NSAI Songwriter/Artist of the Year (2016), winning back-to-back CMA Triple Play Awards in both 2015 and 2016 (for penning three No. 1 songs in a 12 month span) and Music Row’s Breakthrough Songwriter of the Year during his debut (2015). This year, Swindell has performed his 7th career No. 1 single “Flatliner,” which features his mentor/friend and 2017 WHAT THE HELL WORLD TOUR mate Dierks Bentley, on the 52nd Academy of Country Music Awards telecast live on CBS and again this summer for the “CMA Fest” special that aired this summer on ABC Television. He has performed his current and 8th career single “Stay Downtown” on The Ellen DeGeneres Show and this week will perform it on The Tonight Show with Jimmy Fallon. 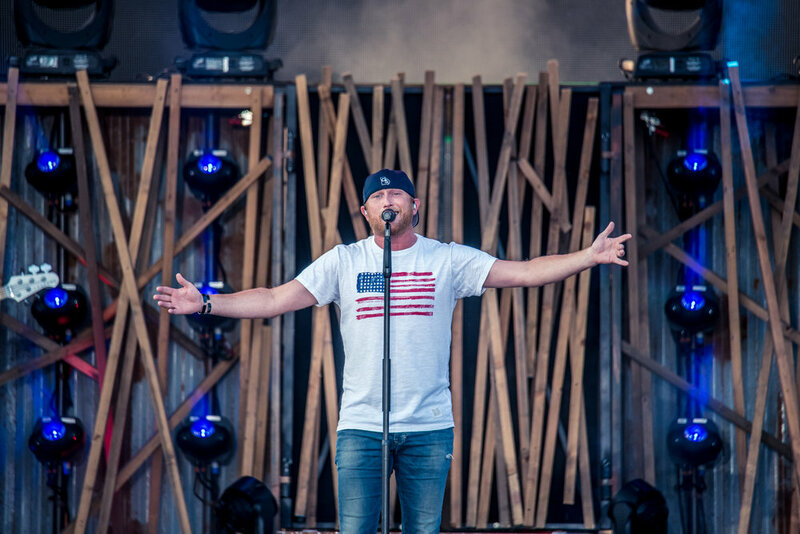 For more information and tour dates, please visit www.coleswindell.com and follow @coleswindell on Twitter, @cswinde2 on Instagram and on Facebook. Older PostTim McGraw,Chris Janson, Mark Collie Cover "Mama Tried"